Seann is a regular face on the small screen with appearances on a number of comedy and panel shows. He has quickly become a well-respected comedy actor too, most recently co-starring in ITV1 sitcom Bad Move alongside Jack Dee. 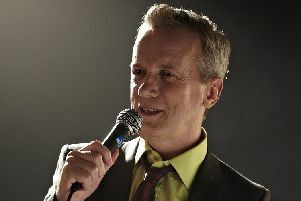 He will be bringing his tour to Lincoln Drill Hall on Tuesday, May 28.
drillhall.com, where you can also find details of all the upcoming shows. The show is advised for those aged 14 and above.